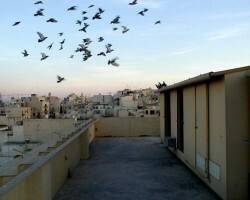 Welcome to VICTORY LOFTS MALTA, managed by Maltese racing pigeon breeder Andre’ Scerri. 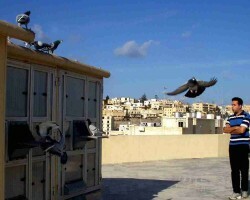 Racing pigeons in Malta have to race the final 93 kilometres above open sea, making it one of the most challenging countries to race pigeons in the world. 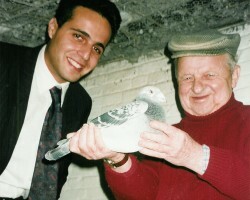 Andre has been breeding and racing pigeons for over twenty five years. Over the years this loft has won every award in the sport. We were champions of the NDHU club, which still is the strongest club amongst the 25 clubs in The Maltese Islands. Andre’ was also the youngest WINNER ever of The Malta National Racing Championship. The section includes a comprehensive, descriptive insight to the popular sport of pigeon racing in Malta; together with Andre’s stock birds and racers, which have proved to be amongst the top pigeons on the island over the last few years. You will also find general information, pictures of the lofts, pictures of the stock birds, latest news and videos. Do not hesitate to contact us for free assistance concerning any issues concerning our beloved pigeons and the sport in gerneral. Time to get back in!! Andre’ Scerri was born in St. Julian’s, Malta. He started breeding and racing pigeons at the tender age of fifteen, whilst he was still studying, and since then won every award in his club, which is the strongest club amongst 25 clubs on the Island. 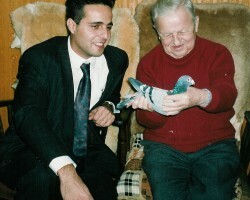 Andre’ was the youngest fancier in Maltese racing pigeon history, which goes back over 50 years, to win the National Racing Championship in the Season 2002/03, in a 27 race program with races from 90 to 660km. 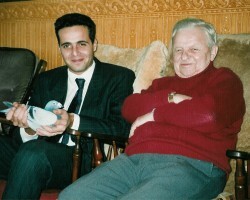 Andre’s interest in pigeons was inherited from his father, who although had a great interest in pigeons had never found the time for total commitment. For the first few years, due to his studies, Andre kept his pigeons thanks to the help of his reliable father. In 1994 Andre’ graduated with honors as a pharmacist after pursuing his studies at the University of Malta. It was then that Andre’ decided to tie up his passion for pigeons with business and set up a veterinary pharmaceutical import company specializing in racing pigeons named Andre Scerri Enterprises Limited. Throughout the years, this company has been locally appointed sole agent for many reputable veterinary product firms including Chevita GmbH, Rohnfried (Germany), Paloma (Belgium), Belgavet (Belgium), Herbots Animal Products (Belgium), Old Hand Specifics (UK), and Pantex (Holland). In 1999, he introduced the concept of Veterinary pharmacies in Malta by establishing VETMEDIC PHARMACY; the first veterinary pharmacy on the Maltese Islands. Today VETMEDIC PHARMACY has grown to be one of the main suppliers in the field, and has also extended its services to specialized veterinary diagnostics by adding VETMEDIC LABORATORY under its wing. Andre’s outgoing and friendly nature; not to mention his contacts and friends overseas, have helped him to obtain many a good pigeon. Over the years he succeeded to start his own family of pigeons, which have proved to be amongst the top pigeons on the island. 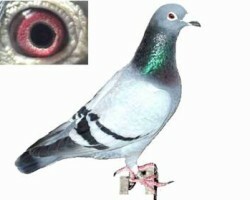 His pigeons have also won prestigious prizes in a host of other countries such as Argentina; Portugal; and South Africa, placing 2nd in the prestigious Olympiad. SHORT DISTANCE AGGREGATE : 2 x 1st , 3 x 2nd, 3 x 3rd, 4th, 5th. LONG DISTANCE AGGREGATE : 2 x 1st , 2nd, 4th, 5th. OVERALL DISTANCE AGGREGATE : 4 x 1st , 5th , 2 x 7th . The culmination of his success came in the 2002/03 season when he won all the honors there are to win in the club, which for the fifth year running was the BEST CLUB NATIONAL OVERALL DISTANCE. He was in the lead of the FEDERATION NATIONAL CHAMPION from the middle of the season up till the last race, and ended the season as the OVERALL DISTANCE NATIONAL CHAMPION with a total of 8339 points. SHORT DISTANCE CHAMPION; LONG DISTANCE CHAMPION; OVERALL DISTANCE CHAMPION; TWO BIRD NOMINATION CHAMPION; Most points Reggio Calabria, Most points Metapunto & Bari, ACE PIGEON SHORT DISTANCE: 3rd, 6th, 9th, 17th; ACE PIGEON LONG DISTANCE: 2nd, 3rd, 5th, 11th; ACE PIGEON OVERALL DISTANCE: 2nd, 5th, 8th, 11th, 13th, 18th, 19th.